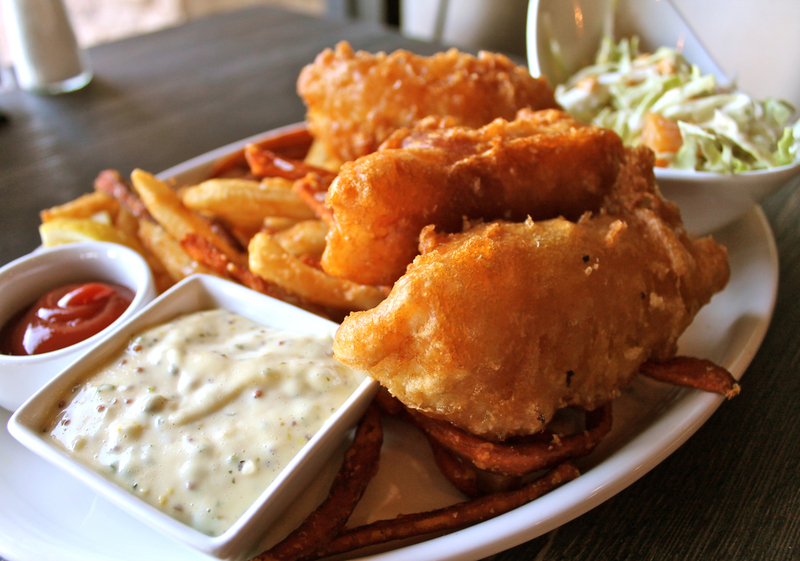 High Tide Seafood Bar & Grill – specializing in steam kettle cooking, brings the freshest seafood to the valley. Cozy up at our custom Terrazzo counter, order a cocktail from our full bar, and watch as your chef prepares your meal in our jacketed steam kettles right in front of you! Feast your eyes below, then check out our full lunch and dinner menus. You can taste it already can't you? Call (480) 821–9950 to book your dinner plans. Rich Creole Stew, Andouille Sausage, Chicken, Okra, Crab Meat, Shrimp & Crawfish, Served with Scoop of Rice. 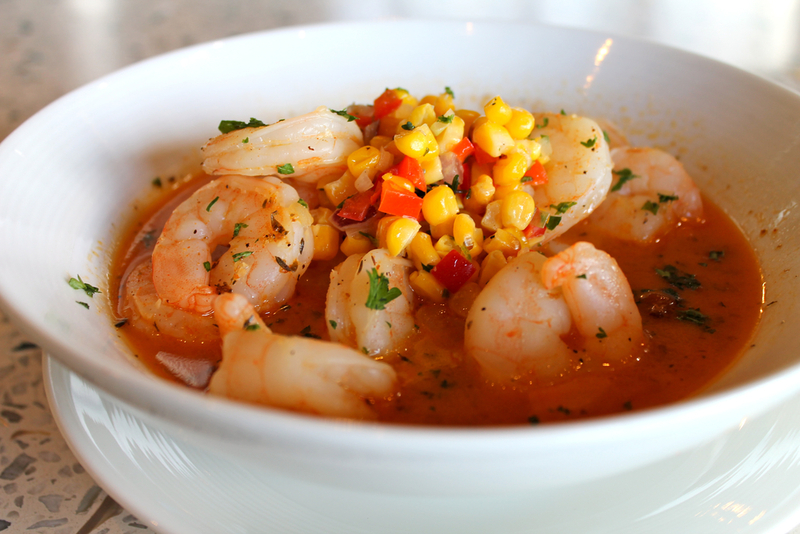 Brandy Lobster/Citrus Broth, Crab Meat, Clams, Shrimp & Crawfish Simmered with Tomato Cream, Served with Scoop of Rice. 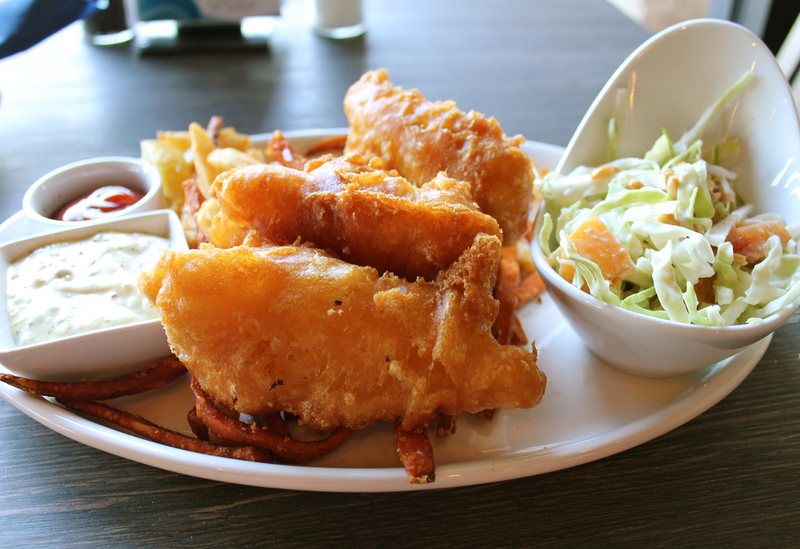 Battered Alaskan Cod, Served with Mixed Fries, Peach Cashew Slaw and Remoulade. Substitute Battered Shrimp or Oysters Add 2. Substitute Halibut Add 5. Small Caesar $6, Sea Salt Fries $4, Sweet Potato Fries $4, Peach Cashew Slaw $4, Fried Okra $4, Mac & Cheese $4, Red Beans & Rice $4, Side Bread & Butter $1, Split Charge $4. *Eating raw or undercooked meat, fish or shellfish can increase the risk of food borne illness. 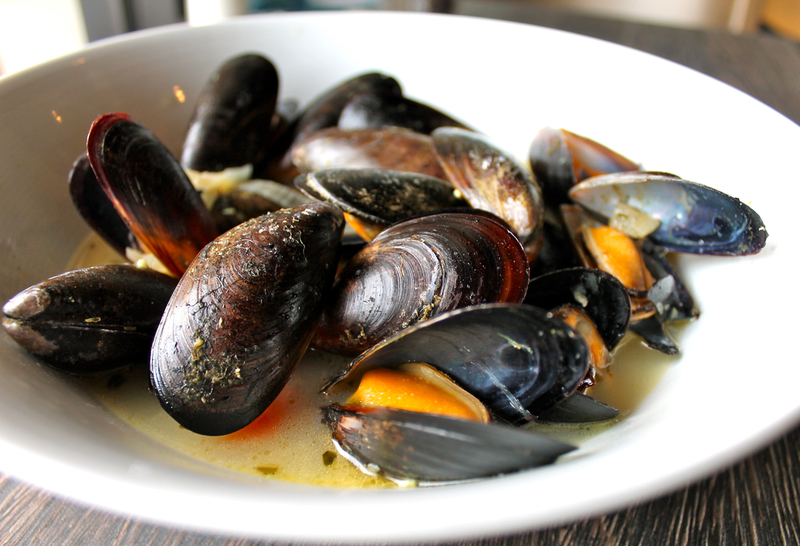 *Hamburgers and salmon can be cooked to order – Oysters on the ½ shell are served raw. Small Caesar $6, Sea Salt Fries $4, Sweet Potato Fries $4, Peach Cashew Slaw $4, Fried Okra $4, Baked Mac & Cheese $4, Garlic Broccolini $4, Green Beans $4, Whipped Yukon Gold Potatoes $4, Red Beans & Rice $4, Bread & Butter $1 Split Charge $3. Fresh from a seven-year post as Executive Chef at the renowned Superstition Mountain Golf and Country Club, Eric Emlet has partnered up with Chris Glass to open High Tide Seafood Bar & Grill, a restaurant that reflects his passion for great seafood served with style. Both a saltwater and fresh water fisherman since his youth, Eric was drawn from the shores of Lake Michigan to the Pacific Coast to pursue his dream of being a chef. His knowledge of seafood preparation was honed over eight years as Manager and Executive Chef at two restaurants in San Diego’s Mission Beach neighborhood, where he drew a loyal following for his creative menus and distinct style. He deepened his expertise at Scottsdale’s Culinary Institute Le Cordon Bleu, graduating with Alpha Beta Kappa honors. Eric relishes the opportunity to bring exquisite cuisine and an unparalleled dining experience to his own community. Steam kettle cooking is an amazing approach to preparing seafood that uses high pressure steam, an indirect heating method that allows flavors to remain robust without overcooking. 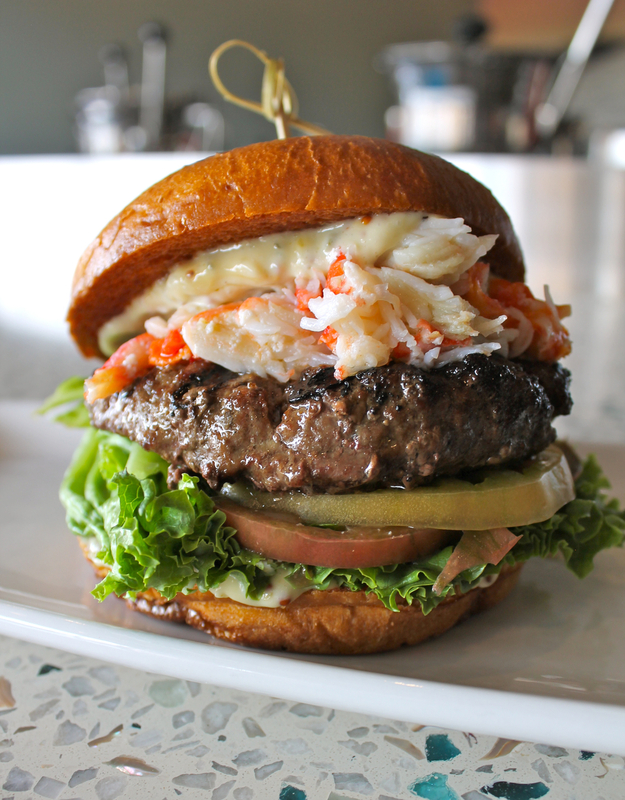 You will also want to enjoy one of High Tide’s signature burgers – made with the highest quality short rib blend beef or opt for one of our many other sumptuous entrees paired with a craft beer or wine from our extensive list. 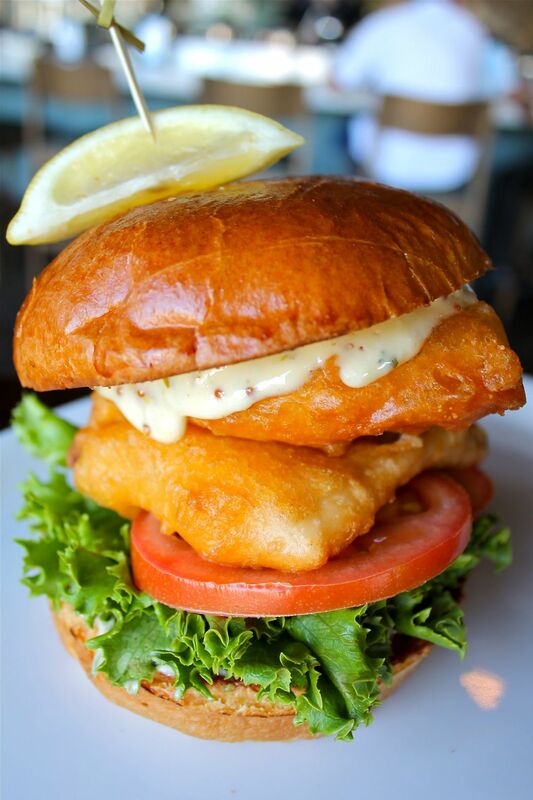 High tide is committed to sourcing local ingredients and supporting local suppliers such as Tempe’s Capistrano's Bakery and Queen Creek’s The Pork Shop. At High Tide, freshness is paramount. And don’t forget our daily happy hour specials on appetizers and drinks. It’s a deliciously affordable and enjoyable way to end your busy day. Read the full Valley Lifestyles article. High Tide is available to help make your next party, meeting, or special event even more special in our Sunset Room. From intimate dinner parties, to birthdays, or business meetings, our staff works with you to create a beautiful, delicious and memorable private dining experience. You can keep up on the latest news, mouthwatering offerings, and special events by following High Tide Seafood Bar & Grill on Facebook. We welcome you to High Tide, open every day for lunch and dinner. Check us out in Valley Lifestyles Magazine. For parties of all sizes, call for more information. High Tide loves a good party so we are ready to do whatever the special occasion calls for – whether it’s a business meeting, pharmaceutical presentation, bridal luncheon, birthday, graduation or anniversary party, we will work with you to make a delicious and memorable event in our Sunset Room. To plan your special event, please contact us at 480-821-9950. High Tides catering team, brings the ocean fresh quality of our restaurant to your special event. Have a date, need to plan a menu? Please call us and we'll do the rest 480-821-9950. Half off all 6 ounce glasses of wine every Wednesday, all day! Everyday 3pm - 6:30pm. Yes, even weekends! 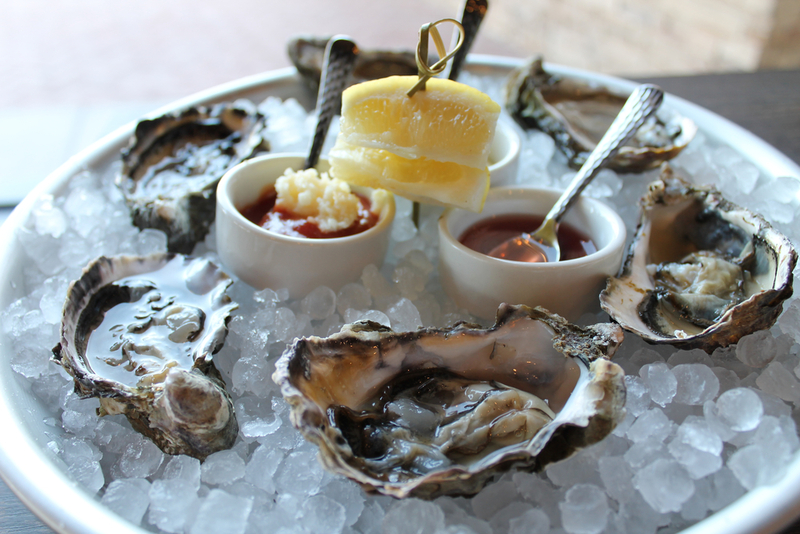 Discounted appetizers & $1.75 oysters on the half shell. $4 House Wines, $4 Well Drinks, $5.50 Deep Eddy Cocktails & Mules, $2 of our Specialty Cocktail List, $4 Craft Draft Beers and $3 Domestic Draft Beers.